We appreciate your feedback about your support experience with SkyVerge, developers of WooCommerce Checkout Add-Ons. This helps us maintain high standards on the WooMarketplace, and helps SkyVerge improve. The core WooCommerce checkout process covers all of the basic fields shops needs to place an order, but what if your shop needs to offer services or additional products only at checkout? That’s where WooCommerce Checkout Add-ons comes into play. 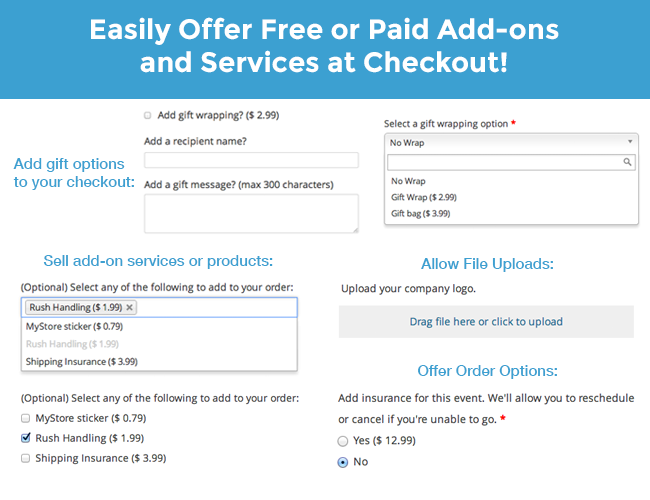 This extension allows you to add several additional options to your checkout page and determine which are free or paid. 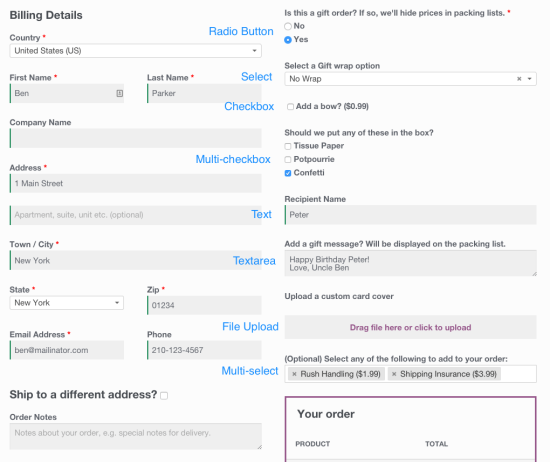 You can also sort and filter orders based on your shiny new options. 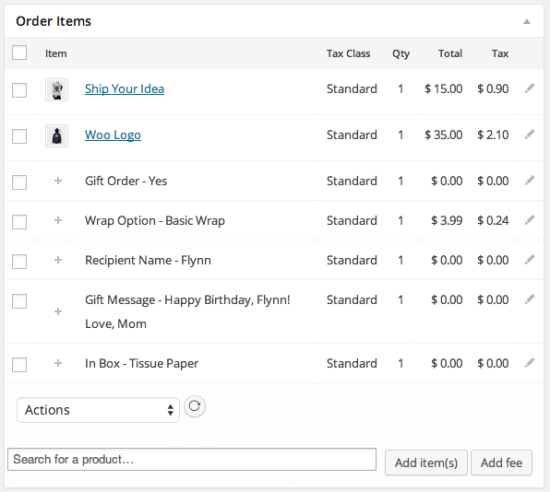 WooCommerce Checkout Add-ons can give you a way to charge for add-ons services such as rush fulfillment or gift wrapping, or can help you offer add-ons at checkout without inventory, such as stickers or insurance. Checkout Add-ons allows you to easily add several field types to your checkout page, including text fields, text areas, select (dropdowns), multi-selects, radio buttons, a checkbox, multi-checkbox, and file uploads. Checkout Add-ons is great at adding any kind of field for free, but they can also be used to add paid services or fees, and can even do so on a per-option basis. Since WooCommerce Subscriptions supports fees, you can also use it with Checkout Add-ons! That’s it! Sit back and enjoy using your shiny new checkout fields! 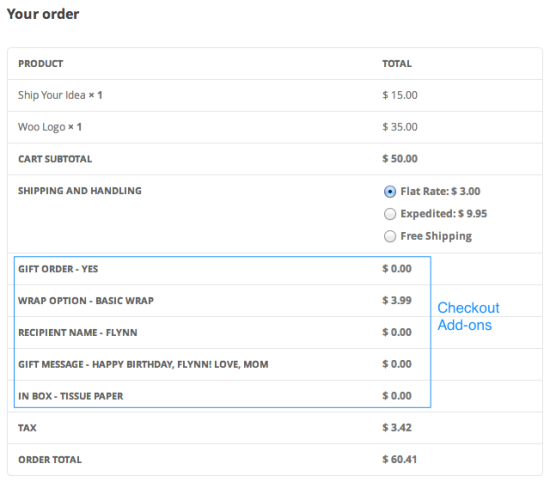 Checkout Add-ons will not depend on the product purchased, as they’re add-ons for the entire order. If you need to only add fees or add-ons when a particular product is purchased, we recommend the Product Add-ons extension.